Topshop Grace Pump $47 $80 Free US shipping AND returns! Christian Louboutin Pigalle Follies 100 Patent Leather Pumps $695 Free US shipping AND returns! 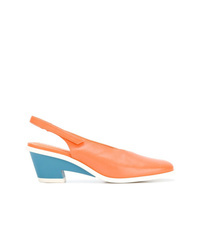 Camper Contrast Heel Pumps $204 $255 Free US Shipping! Salvatore Ferragamo Vara Pumps $581 Free US Shipping! No Brand Olgana Chain Detail Pumps $774 $1,291 Free US Shipping! Casadei Stiletto Pumps $556 Free US Shipping! 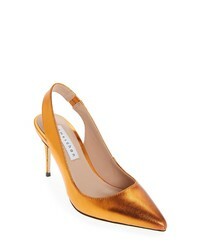 Casadei Slingback Pump $788 Free US Shipping! Sarah Chofakian Open Toe Pumps $327 $654 Free US Shipping! Santoni Edited By Marco Zanini Cross Strap Pumps $572 Free US Shipping! Proenza Schouler Slingback Pumps $545 Free US Shipping! 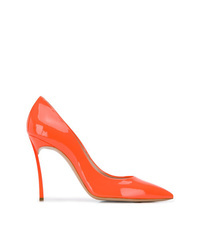 Orange Leather Pumps at Need Supply Co.